Lineal heavyweight champion Tyson Fury 26-0 (19) continues his comeback when he takes on veteran Italian heavyweight Francesco Pianeta 35-4-1 (21) on the undercard of Carl Frampton versus Luke Jackson at Windsor Park in Belfast, Northern Ireland on August 18. In his first fight since stunning Wladimir Klitschko to win the world heavyweight championship in November 2015, Fury stopped blown-up Albanian cruiserweight Sefer Seferi inside four rounds in a lacklustre affair last month. The fight drew widespread criticism for looking like a mid-level sparring session rather than a legitimate sporting contest. “The Seferi fight is history and Pianeta is a far better operator than him. 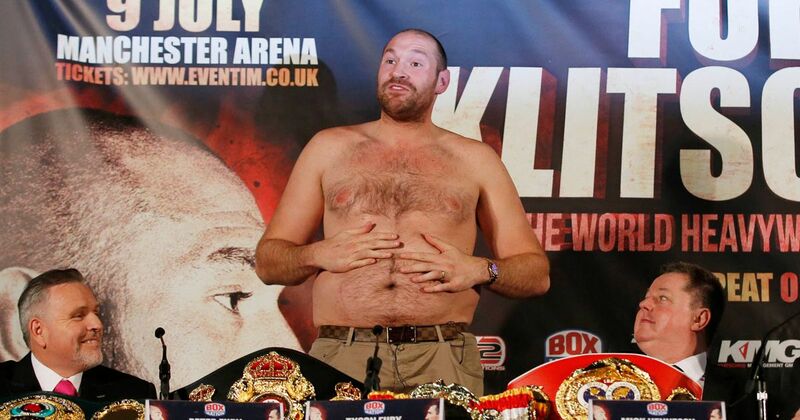 His level of opposition tells you that,” said Fury’s promoter Frank Warren. The 33-year-old Germany-based Italian southpaw is a two-time world title challenger with losses to Kevin “Kingpin” Johnson (TKO7) and Petar Milas (UD10) in two of his last three outings. A prime Wladimir Klitschko stopped him in six rounds five years ago, while Ruslan Chagaev pancaked him in one in 2015, both in world title fights. The former EBU and WBO European champion holds a win over Matt Skelton and American heavyweight contender Jarrell Miller’s last opponent Johann Duhaupas, but that was almost a decade ago. In 2012 he picked up the ageing scalps of Frans Botha and Oliver McCall. He is not expected to put up too much resistance to Fury but will nonetheless be a solid step up in competition from the uninspiring Seferi. “Tyson had been out of boxing for a long time and Pianeta is a good opponent for what is Tyson’s second fight back after his break,” continued Warren. Activity remains the key for the 29-year-old self-styled “Gypsy King” and Warren believes Pianeta is durable enough to give the former unified heavyweight champion some rounds.